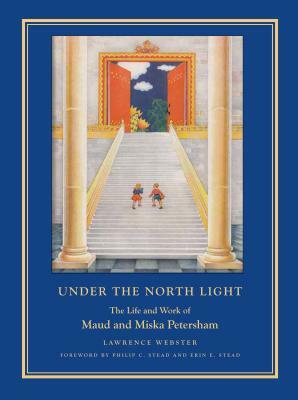 Under the North Light: The Life and Work of Maud and Miska Petersham is authored by Lawrence Webster. This biography is the first published book about the Petershams. Philip and Erin Stead, winners of the Caldecott Medal for A Sick Day For Amos McGee wrote the foreword. The book will serve as the companion to the forthcoming Woodstock Artists Association & Museum's Petersham exhibition. Maud and Miska Petersham were pioneers in a golden age of children's book publishing in America, and were among a handful of people who set the direction for illustrated children's books as we know them today. From the 1920s to the 1960s they worked with such legendary editors as Louise Seaman and May Massee, and such inventive printers as Charles Stringer and William Glaser greatly advancing the art of the illustrated children's book. Under their studio's north light they produced more than 100 books. Theirs was a deep collaboration of complementary background and temperaments, and a marriage that created a warm and welcoming household. Their books were immensely popular with children, but also admired by critics, librarians and tastemakers. In the time before the first Caldecott Medal, their contributions were recognized by the American Institute of Graphic Arts (AIGA). Four of their books were selected to be shown at the highly competitive AIGA exhibitions in the late 1920s and early 1930s. During the 1940s the Petershams won a Caldecott Honor (in 1942 for An American ABC) and a Caldecott Medal (in 1946 for The Rooster Crows).